Driven by the exploration of flavour and inspired by the brewsters and alehouses of old, Brewery	Market is a draught apothecary dispensing craft brews. Nestled in the heart of Twickenham, we are here to entice you with courageous elixirs from creative brewers, regularly showcasing beers on tap that would not otherwise be available due to their limited or one-off nature. Providing perfect portions is our mighty mini-crowler; the size gives you the variety to go on your own personal journey of beer discovery. 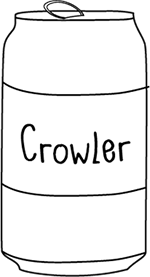 The mini-crowler provides an exceptional beer experience, they are particularly fit for sharing, give you more choice for tasting, pairing or cooking with at home and you can avoid storing open growlers in the fridge. 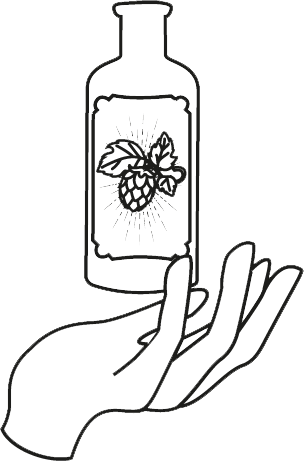 Up until the 1200s apothecaries were originally part of the grocery business where hops and beer were sold for centuries, long known for their healing and medicinal properties. Drawing on that tradition alongside our extensive range of beers, we have a collection of handcrafted craft beer centered products. We CAN do so much more! Environmental stewardship is a top priority for Brewery Market. More craft brewers and craft beer enthusiasts than ever before are ‘going green'. Canned craft beer is becoming an increasingly popular choice. Aluminium cans are infinitely recyclable and environmentally friendly, the metal used in the production of cans is 100% recyclable, with the process typically using less than 10% of the energy needed to create a new can. That’s why the Brewery Market growlers are also aluminium; they are reusable, and recyclable. Bring back your growler when you refill for an in-store discount.